Due process flaws marred US activist bulldozer death case, attorney | Russian Legal Information Agency (RAPSI). MOSCOW, August 29 - RAPSI, Ingrid Burke. 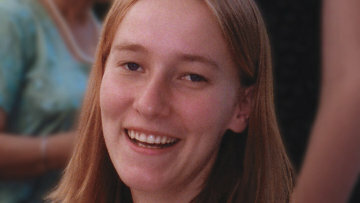 The verdict handed down Tuesday absolving the Israeli army of responsibility for the crushing death of 23-year-old pro-Palestinian activist Rachel Corrie was the end result of a trial deeply marred by procedural issues, a member of the Corrie family legal team told RAPSI Wednesday. Most pressing among these procedural flaws were as follows: the government (defendants) withheld crucial evidence from the Corrie family (plaintiffs); the court granted the government an unfair—and unusual—advantage in terms of the timelines for submitting affidavits and witness lists; and the judge permitted the government to introduce a former IDF spokesperson as an expert witness. Corrie was crushed to death by an Israeli army bulldozer as she attempted to act as a human shield in defense of a house in Rafah, Gaza from its impending destruction by Israeli forces on March 16, 2003, during the Second Intifada. Corrie’s protest activities arose from her involvement with pro-Palestinian International Solidarity Movement. The Corrie family filed the civil complaint leading to Tuesday’s verdict seeking symbolic damages based on the allegation that Rachel’s death had been intentional, or—in the alternative—reckless. The family charged that regardless of mens rea, the death was caused in contravention of Israeli and international law. The Israeli army denied culpability for Rachel’s death on the basis that it occurred in a closed military conflict zone. Classifying her death as an Act of War would absolve the defendants of responsibility under domestic law. The verdict handed down Tuesday by Haifa District Court Judge Oded Gershon absolved the military of all responsibility for the case. Judge Gershon classified Corrie’s death as a “regrettable accident,” adding that, "[s]he did not distance herself from the area, as any thinking person would have done," according to a Reuters report. “The Israeli government withheld critical pieces of evidence that would have been important for the family to use in court in order to prove their case,” our source explained. According to him, a security certificate issued by Israel’s Defense Minister in 2008 has served to allow the government to classify a great deal of information that would have been helpful to plaintiffs in presenting their case, including manuals relating to the operation of bulldozers. This security certificate was later used to withhold the names of the soldiers who actually carried out the incident. Only one official was identified in the case: a high-level colonel. The other government witnesses testified from behind a screen in court, and their identities were not disclosed to plaintiffs. Without any indication of their identities, the Corrie legal team had an exceedingly difficult time cross-examining the defense witnesses. The plaintiffs were unable to inquire into whether any of these witnesses had criminal records or any other such wrongdoings. This lack of information made it extremely difficult to establish credibility, a key element of any decent cross-examination. Our source went on to explain that, ““The scheduling of the submission of affidavits was really problematic.” He explained that usually in Israel, affidavits and witness lists are submitted by both parties at the same time in order to avoid surprises, or unfair advantages. As a side note: it is common practice in the country for witnesses to submit affidavits rather than direct testimony as a time-saving measure. Thus witnesses go straight to cross-examination upon taking the stand. In this case, unusually and without much in the way of an explanation the judge allowed the government to submit its witness affidavits and witness list after the plaintiffs had already submitted its own witness affidavits. Thus the plaintiffs had to do so without any knowledge of who would testify on behalf of the government—not that this information would prove tremendously helpful in the long run, considering the security certificate described above. The plaintiffs’ final major point of contention was that of the government’s successful use of former Israeli Defense Forces (IDF) spokesperson Ruth Yaron as an expert witness. As an IDF spokesperson at the time of Rachel’s death, Yaron’s job had been to issue IDF press releases seeming to absolve the military of all wrongdoing. She was put forward as an expert witness who could provide the court with information on the International Solidarity Movement. This was allowed by the court despite the fact that she—according to the Corrie legal team member—lacks relevant educational background on international humanitarian organizations in general, and on the International Solidarity Movement specifically. In addition to the above, our source complained that the government submitted to evidence edited, incomplete video footage of Rachel’s death, despite the plaintiff’s allegation that it has been proven that complete coverage exists. 19:45 29/08/2012 The verdict handed down Tuesday absolving the Israeli army of responsibility for the crushing death of 23-year-old pro-Palestinian activist Rachel Corrie was the end result of a trial deeply marred by procedural issues, says member of the Corrie family legal team.